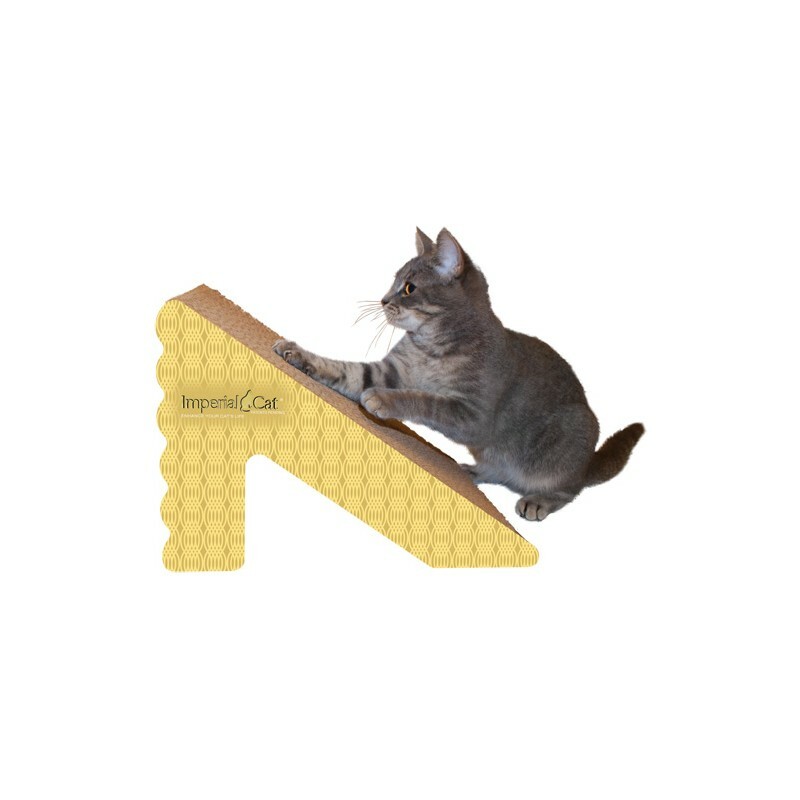 Your cat probably won't do anything too amazing with the Shape Scratch n Shapes - Rub n Ramp, unless you count not sharpening their claws on your favorite chair. Just because they won't try to jump a dirtbike off this cat-sized ramp doesn't mean that they won't love digging their claws into the thick body of corrugated cardboard. 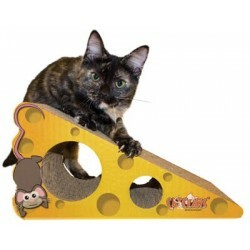 The wide design is perfect for scratching or lounging, and the cardboard body is crafted from 100% recycled materials. 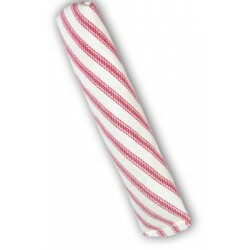 This scratcher is made in the USA and includes a nine-ounce portion of organic catnip. Made of 100% recycled paper. 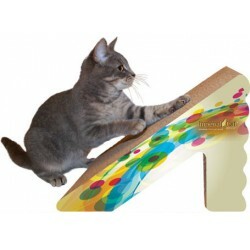 Features a rugged edge perfect for rubbing and scratching. Comes with a 9-gram bag of certified organic catnip. Made in the USA. Dimensions: 16W x 9D x 9.75H inches.